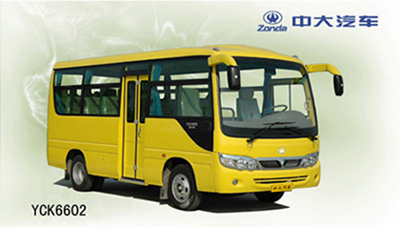 This is a newly developed passenger bus model by Zonda, which has smooth and simple streamline. Its design completely reflects the humanization design concept and assures the comfort and safety. Manufacturer: Yangzhou Diesel Engine Co., Ltd. Optional engines: 4100QB2L, CY4100ZLQ, etc. We make various kinds of buses ranging from 6 to 13 meters in length.